Live transfer auto warranty leads are a great way to help you sales agents talk to interested potential clients. By using call centers located right here in the US, transfer agents contact and then pre-qualify automobile owners for car year, make, model, mileage, and then ask if they want to speak with an auto warranty specialist. If the vehicle owner chooses to speak with an auto warranty specialist the agent transfers the call to the sales representative. The best live transfer auto warranty leads work when the right questions are asked and there is a seamless transfer to the end agent. The contact rate is obviously 100% because the auto owner is on the phone live for the hot transfer lead. Each auto warranty campaign comes with a portal to track all calls and transfers, disposition, and the ability for managers to review leads. Custom live transfer auto warranty call campaigns can really narrow down exactly what you expect to get out of each auto warranty live transfer or “hot transfer”. 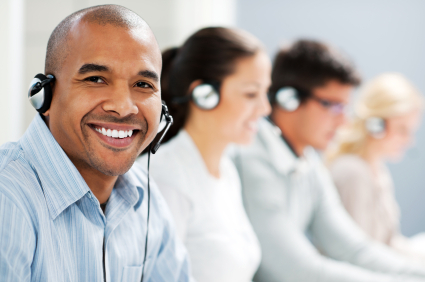 The custom call center campaign is billed on the time based on the exact questions you want asked by the call center agent The auto warranty provider that wants a custom live transfer campaign will provide the scripts and all the questions needed to be asked by the call centers for pre-qualification of the automobile owners before being transferred for their extended auto warranty. The company’s agents that are receiving these will only get highly qualified inbound calls that are consistent with their desired criteria. Why Choose Custom Live Transfer Auto Warranty Campaigns? Live transfer auto warranty campaigns that are customized deliver only qualified auto owners to the sales agents. The owners of the auto warranty companies provide all the questions needed before the agent can transfer, eliminating non-qualified prospects. Inbound leads from the custom live transfer campaigns are tracked and logged through an admin panel that assists managers to monitor the lead flow, and how each call lead ends up, sale, decline etc. We know there are many call centers here in the US and overseas, we hope you see the value in dealing with a auto warranty live transfer marketing company that has a proven track record with these types of campaigns. Our marketing firm can produce the highest quality live transfer campaigns for extended auto warranty companies, but we also offer other types of marketing for companies selling these types of plans. Above is a graph displaying the amount of vehicles sold in the US. In addition to providing all the leads and data you will need to run a successful sales center, we also provide a comprehensive marketing plan for those companies interested in dominating the auto warranty market. Our firm offers our clients the ability to build giant referral networks using the most popular social media networks. By directly working with our social media management services team, you will be able to monitor and maintain relationships with all the customer and potential customers your sales team encounters. Having cheap data for selling auto warranty plans, you will be able to keep your cost low and maximize your profits. Call today and get a quote for live transfers for auto warranty plans, or learn more about the other services we offer. Lead generation is the backbone of any business especially when you are selling extended auto warranty plans. If you can’t bring in new customers, your business will obviously suffer. Our cheap auto warranty leads for sale will help you turn them into new leads, so that you can increase the amount of sales you make. Having a “current” list is a great way to ensure business success. First of all, be careful about buying cheap auto warranty lists to use for lead generation. A lot of companies swear their lists are fresh, but more often than not 25% or more of the data you are purchasing will be out not correct. 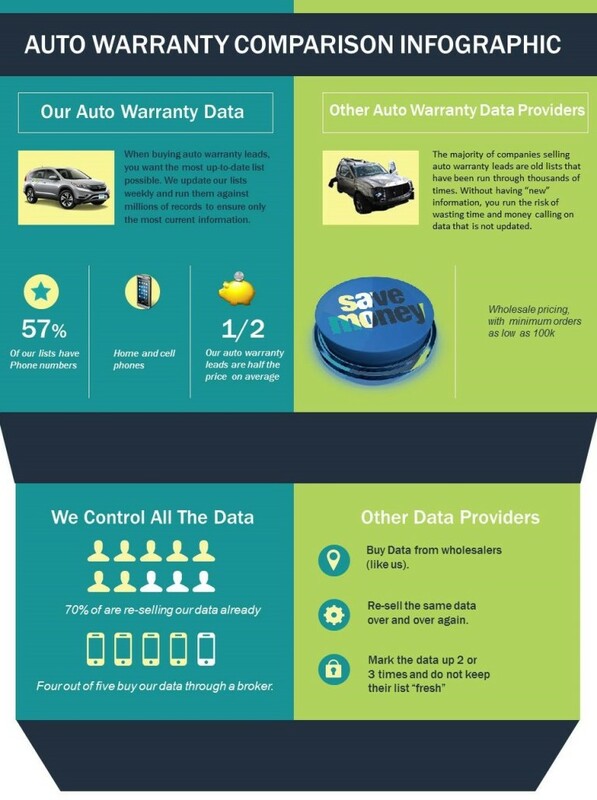 Prior to purchasing a large order, do a small test with us to see how good our auto warranty data really is. We will always refund if a percentage is high and went unnoticed. Always verify the list by suppressing it against your own when buying cheap auto warranty leads. It is easy not to notice duplicate data when purchasing or gathering a list. It is simple to overlook that can cost you money if you have already gathered the same auto data multiple times. It is critical that each lead is unique, and current, to help ensure that you read the desired amount of people. Our marketing firm will create incentives for new clients to buy from us, and offer discounts to our loyal auto warranty data buyers. We offer huge discounts for large buyers that are looking for inexpensive auto warranty leads for sale in bulk. The more you buy the bigger the discount, you can save tens of thousands of dollars ordering large data from us. Below is a chart of vehicles purchases in the US. Here are some tips that some companies use that buy auto warranty leads from our firm. Remember the buying process of your consumer when you try getting more leads since it can greatly affect your results. If you are able to build both content and offers around this decision cycle, then you are able to guide them to purchase an extended warranty plan from your company. Create engaging content, having someone buy from you over the phone relies a lot on building trust with your product or service. Smart targeted content goes a long way when making a sale. Your target audience will be more likely to do business with you if they feel you are providing great service and that you extended warranty packages fit their specific needs. Being trustworthy is a great way to convert the auto warranty leads into sales. Make sure not to bombard your visitors too many calls, and outlandish claims. Rather, base your claims on facts so that consumers will recognize the value. Approach all potential customers in an honest and transparent way, and you’ll see sales go through the roof. Create a large referral network from the customers you sign up. Ask your current customers to pass on word about how great your extended auto warranty plans are to those they know. Your current loyal customers are the best lead generation asset you have. Their word of mouth can really mean a lot to generating new customers. Just them sharing your company throughout all the social media channels and watch the free auto warranty leads flow in. Be sure to maximize your use of social media. If you don’t have enough followers, you can offer special promotions to help boost your numbers. While those people may not be interested in what you’re selling, their friends who are may see your posts on their feed and follow you themselves. Do not underestimate the power of customer referrals in lead generation. If you’ve got a well-established customer base to begin with, referrals should be simple and very cheap way to bring in new business, because your happy customers will naturally refer their friends and family. As an added incentive, give them some type of discount for sending others your way and watch your auto warranty sales grow exponentially! You can already start getting quality auto warranty leads by taking the time to interact with the consumers you do have. Ask your current customers to opt-in to your marketing messages. Since you are asking people you already know to opt-in to receive messages from you, you have a higher chance of them referring friends and family members to buy their extended warranty plans from you. Don’t so cheap and not pay for good auto warranty leads if you have it in your budget. There are low cost auto warranty leads for sale out there. Pay per click campaigns are one. These search marketing campaigns give you lots of brand building impressions, but you only pay if someone actually clicks on the ad itself. This can be a very effective lead generation method. Hot transfer auto warranty leads is another, they are not cheap, but they are effective. You have competitors, but you also have companies within your industry that are complement your business. Therefore, network with these companies so that you can exchange leads. This can be a great method to help gain new customers and strengthen your business niche in general for repeated business later on. Consider who might have an insider’s view on who would be interested in what you’re selling. For example, real estate agents could get tips from local recruiters on new people moving to the area to start a new job. Who would know of people who would need extended auto warranties for their vehicles. If you’re looking for the best, cheapest auto warranty leads for sale, then contact us and we will compile a custom list for you. Continue working on your own techniques to continue generating your own free auto warranty leads. You will always find new customers if you’re able to do this correctly. When looking to buy auto warranty leads there are many warranty leads for sale available on the internet. There are very inexpensive extended auto warranty leads that you can purchase to grow your business through your call center, or however you utilize the data. We offer the most up-date-list of auto warranty leads in the country and we probably are selling our auto warranty data to the very people you buy from now. Our auto warranty list is suppressed every week as “new” data comes in so you know the information is fresh. As you know if you have bought auto warranty leads in the past, it’s all about the quality of the list. If you have a floor of agents calling on “bad data” you not only loose on the data you purchased but the loss on the hourly wages. Selling extended auto warranty plans to consumers is a highly competitive field, and you need to be armed with the best data to be successful. Why deal with an auto warranty leads broker, when you can go right to the source? We have been offering auto warranty leads for sale for decades and offer the most up-to-date data period. For the consumer having and extended warranty can help make sure they don’t have to pay huge amounts for unexpected repairs. So being able to target the right year, make and model is very important for call centers that buy auto warranty leads. Having the right list or data we ensure your contact rate with the type of car owner that is most likely to buy an extended auto warranty plan. We have already done all the hard work for you by eliminating exotics like Lamborghini’s, Ferrari’s etc. In addition, we have removed motorcycles (although you can buy those if you wish). You have the ability to order auto warranty leads that are specific to your needs. If your company only chooses to market a certain amount of states, no problem, just let us know the filters and we will provide the states you want to market. The easiest way to get started and you want to buy auto warranty leads as soon as possible. Then call our office and speak with one of our agents and have them give you a price for a custom list. We are completely open and transparent, let us know what you are paying now, and we will beat it. We can handle custom auto warranty lead lists up to 75 million. If your firm is looking for the premier wholesale auto warranty leads provider, then you landed on the right page. Ask for a sample of our auto warranty leads for sale and be prepared to make sales. 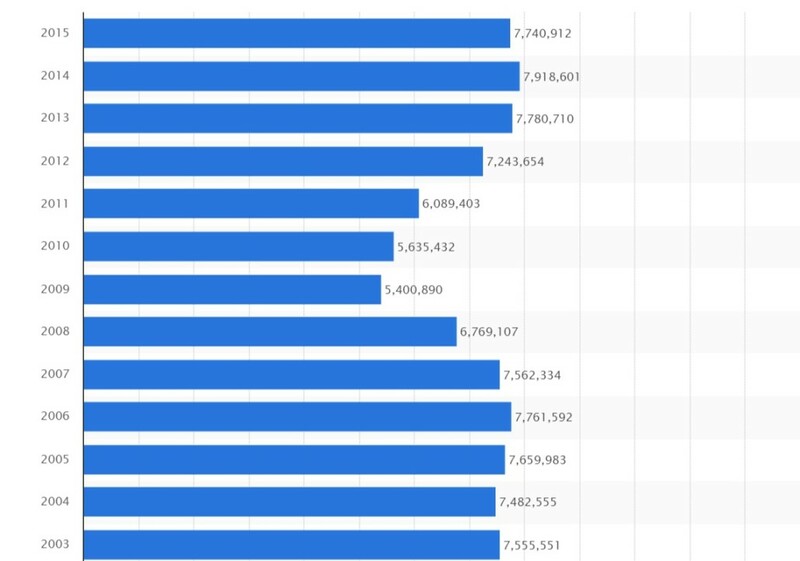 As you can clearly see from the chart above the millions and millions of vehicles bought in the US. Imagine having access to those car owners home or cell phone numbers. We have the ability to even exclude certain vehicles like Kia, or Honda if you choose. The extended auto warranty leads for sale are fully customizable to your needs.